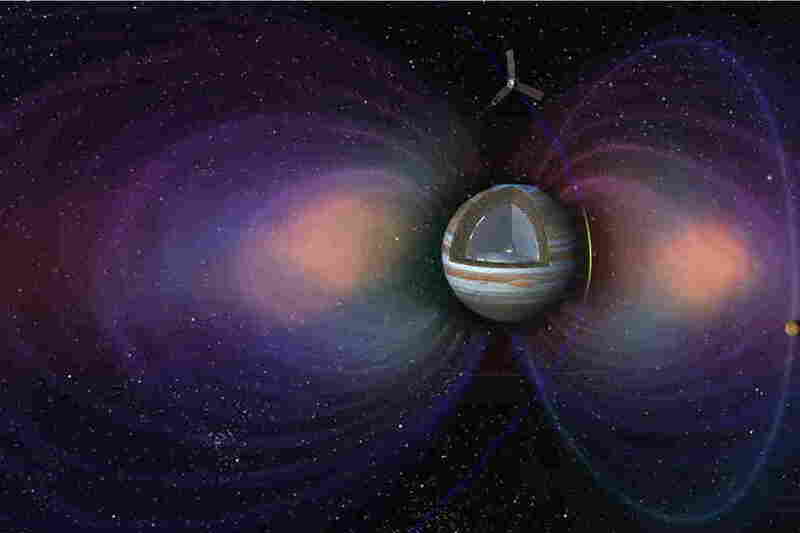 Juno Spacecraft Reveals Spectacular Cyclones At Jupiter's Poles : The Two-Way The NASA has spotted enormous cyclones at the gas giant's north and south poles. The probe has also returned other data that have project scientists scratching their heads. 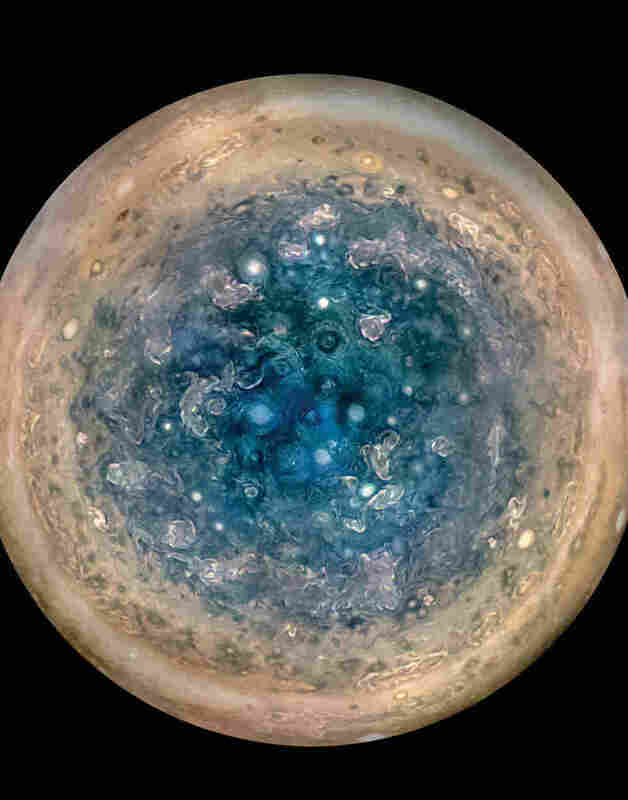 This image shows Jupiter's south pole, as seen by NASA's Juno spacecraft from an altitude of 32,000 miles. The oval features are cyclones, up to 600 miles in diameter. "We're all jumping up and down with huge excitement," says team member Fran Bagenal, professor of astrophysical and planetary sciences at the University of Colorado, Boulder.